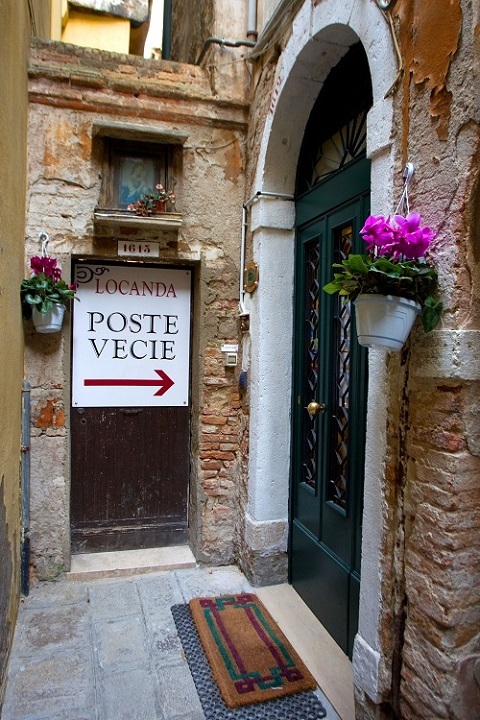 If you need a good value hotel in Venice, in a perfect location, then look no further than the Locanda Poste Vecie (click for more photos and reviews by others). Once this was the old post office and now it's a splendid hotel with high ceilings and an old world charm. I have just spent a few days here with the family , checking out whether the many postive reviews we've received were justified. My conclusion is that they are. This is the sort of hotel I love, small and family run, with the kind of personal service you hardly ever find nowadays. Maurizio, the Manager, is a star and seems to be everywhere, from checking you in to serving the excellent breakfast in your room. Not only is the service superb but the location couldn't be better either. You are within easy walking distance of the Rialto market, the Rialto Bridge and Piazza San Marco and you have some excellent restaurants nearby. 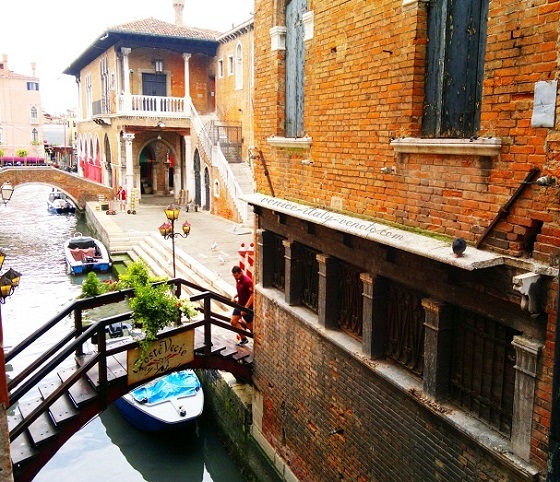 The photo at top of the page, which was taken from my room window, shows the little bridge leading to one of them – the Poste Vecie. The restuarant has the same name as the hotel but it isn't owned or connected to them in any way. 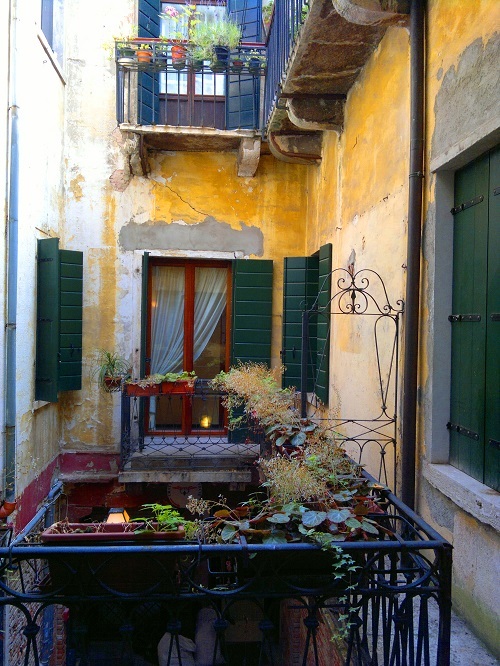 However, mention to them that Maurizio from the Poste Vecie hotel referred you and you'll get a 20% discount. Other good options are the Do Spade, which is 5 minutes walk away, while a little further afield you'll find the Trattoria alla Vedova which offers an affordable opportunity to try the local specialities. The Trattoria alla Vedova is my pick of the three and is worth the walk, click here for more details. 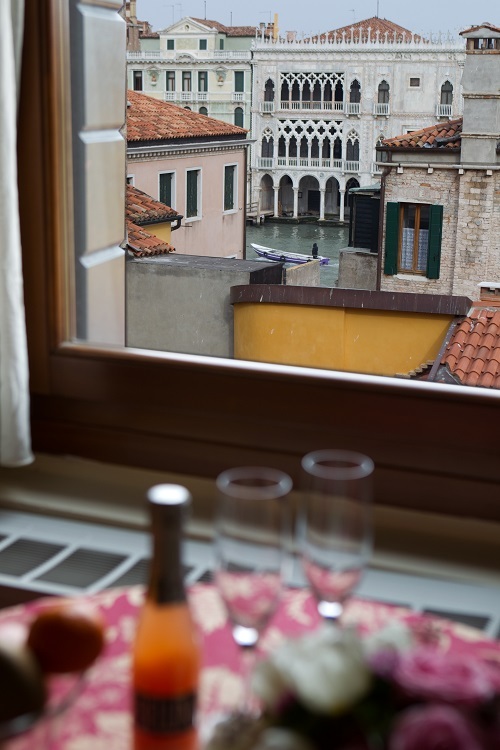 Bottom line is that there are now very few hotels in Venice where you'll still get good value and where you'll always receive a warm welcome, this is one of them. If you'd like to find out more or book simply click here.